MAM is a global leader in the baby care industry with more than 50 million MAM baby products including MAM’s BPA-free pacifiers, baby bottles, functional teethers, baby oral care and drinking cups for newborns to toddlers sold each year. MAM knows that being a parent is hard. Its mission is to combine the best in technological innovation, medically sound function and contemporary design to provide parents with smart and simple solutions and to give babies the best start in life. Now, most of us have probably heard of MAM for their baby bottles and pacifiers... and honestly I thought that was all they made! Boy, was I wrong! In addition to these products they are so well known for they also offer teethers, oral care and drinking cups! 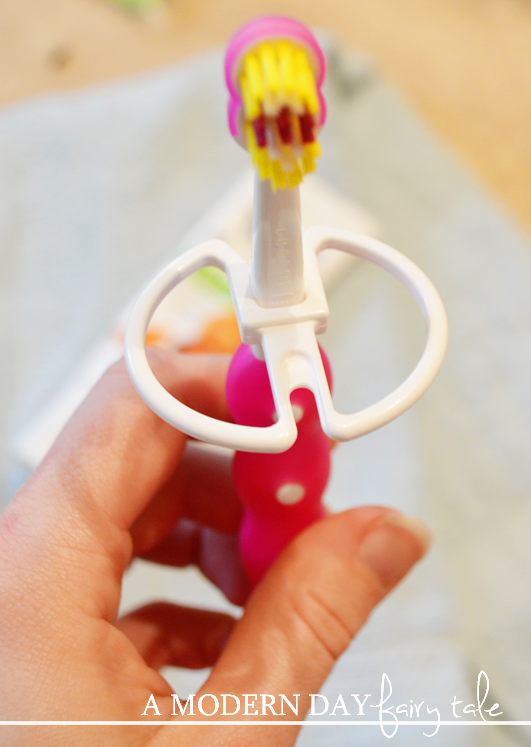 For this review, I was lucky enough to receive their Sports Cup and Learn To Brush Set. My daughter is addicted to cups! If we're out and about shopping and she sees one, she lunges for it. Every time. There's just one slight problem... actually getting anything out of a sippy cup can present a problem for her. 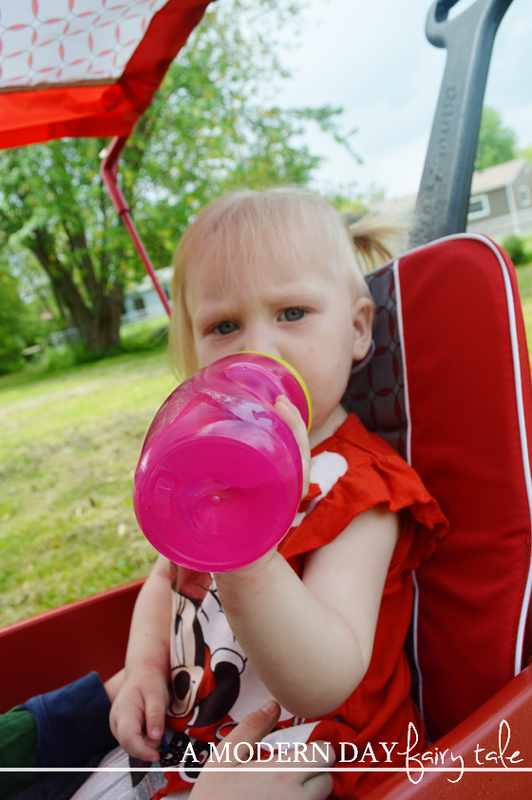 Perhaps it's due to never having had a bottle, but she just cannot figure out how to work many sippy cups on the market. Cups with straws are great for home, but for hydration on the go? Well, that's just a mess waiting to happen! 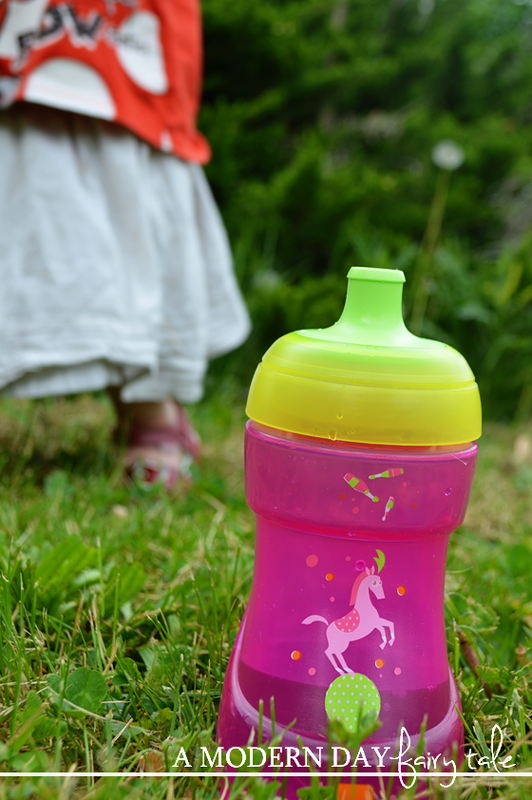 We needed a good cup that was spill proof for on the go... and easy for my little miss! I am happy to say we found that in the MAM sports cup. The cup opens automatically with no need for hands, features a patented valve system leaving it spill proof (or remove the valve for a free flow!) and offers a non slip grip and unique curved shape making it perfect for little hands! Like all MAM Baby products, it is BPA free! And seriously, how cute is it!? I am thrilled to have found a cup that works to suit our needs perfectly! Now that we have her staying hydrated, it's time to focus on taking care of those sweet baby teeth! Talk about a challenge! As she nears 2 years old, my daughter is definitely finding her independence in everything. 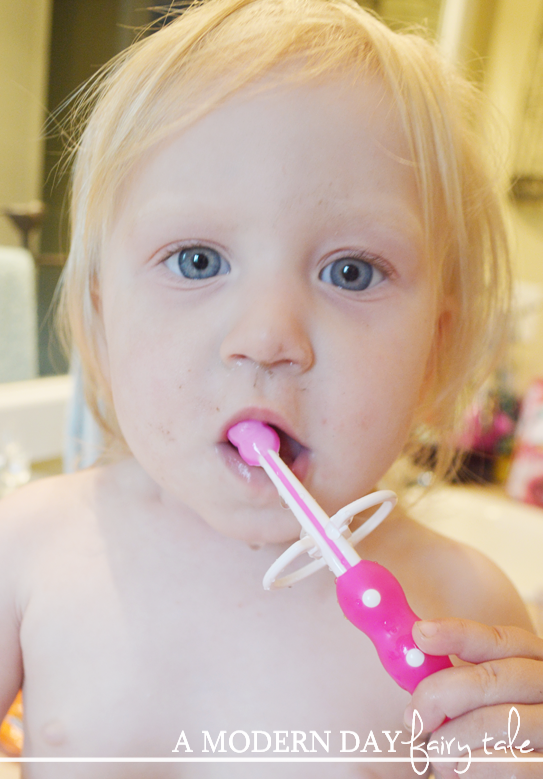 From wanting to try out the potty, to picking her own clothes and brushing her teeth. 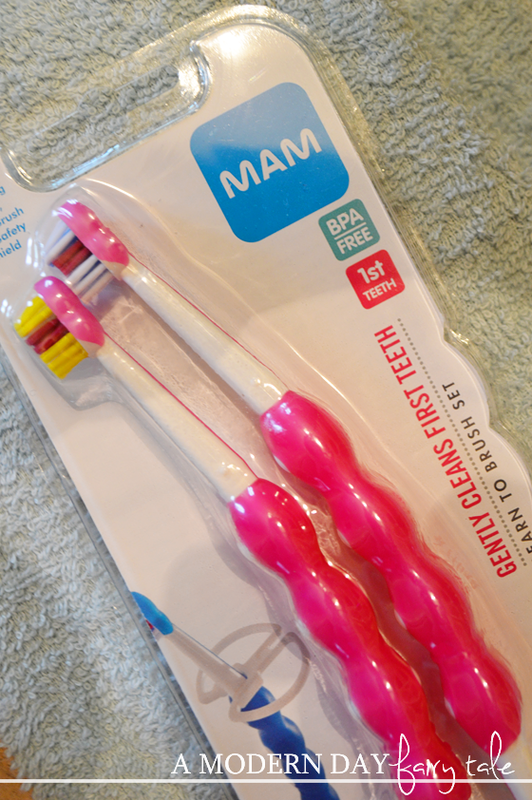 The MAM Learn To Brush set is PERFECT! This set features two brushes. The first features a longer handle that is ideal for baby and parents to brush together, while the second shorter brush is perfect for kids who have already learned to brush. The round heads are perfectly adaptable to baby's mouth and the soft rounded bristles are perfect for removing plaque and bacteria. Perhaps my favorite part however is the red bristles designed to indicate the amount of toothpaste to use. Now, if you've ever allowed your child to get their own toothpaste, you know how useful this can be! It even includes a shield that prevents baby from pushing the brush too far back! Very useful!! Having an older child with sensory issues who has a hard time brushing, I found this set could even be helpful for him... giving him the independence he wants, but still helping me to insure that I can help if needed and that he's not using a whole tube of toothpaste for one brushing (which I can assure you HAS happened!). I am always searching for a spill-proof sippy cup. We will have to try the sports cup! I love the MAM anti-colic bottle. The mini cooler teether looks pretty awesome. My little girl probably wouldn't put the full-size one in her mouth, but I can see her using the mini. I went to their site and I also love the Giselle original shoes. The mini cooler teether looks great! we love their learn to drink cup! nice and easy! I like the bite and play teether. I would love to get the MAM Anti-Colic bottles. I like the Oral Care Rabbit and Bite & Play Teether.